There is one review of Andy Warhol's You're In. I’m into the name! But the fragrance is not what it literally hints at... There seems to be more of wordplay at the design of it. Pop?—Soda, Pop—Tart? So it smells like a bubble of lemonade and candy. A lighthearted and superficial interpretation of Andy-fame. And, after half an hour on my wrists (… after 15mins, I assume?) the scent I get is coriander and hands that just peeled an orange. A return from the sugary high, back to the wholesome kitchen. 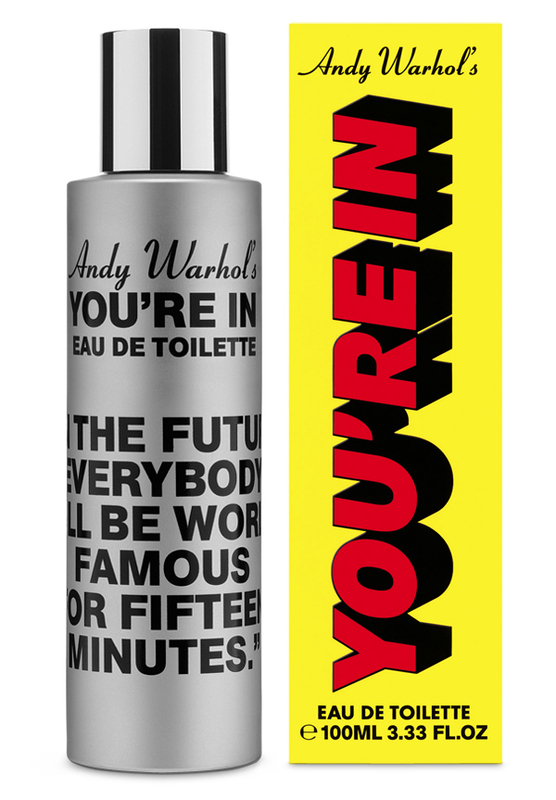 There are no member images of Andy Warhol's You're In yet. Why not be the first?